First gold ATM in the UK opens Jump to media player Members of the public react to the opening of a gold bar vending machine, the first of its kind in the United Kingdom, in London. 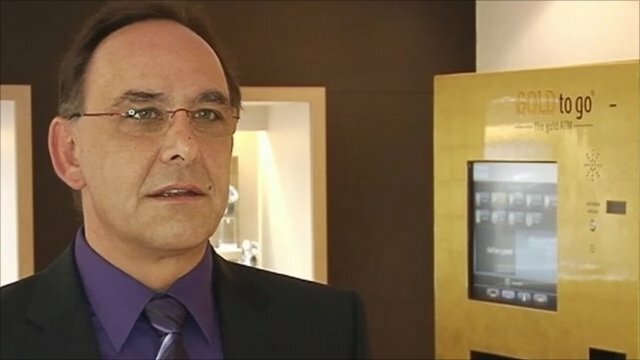 Golden ATM idea from Germany Jump to media player Thomas Geissler, inventor of the world's first gold vending machine explains how it works. 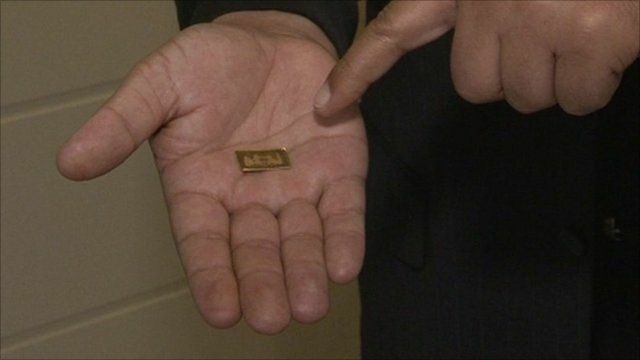 Vending machines dispensing gold Jump to media player Gold prices are close to record highs of more than $1,500 (£940) an ounce but despite the rise sales of gold bars and ingots across the Middle East have risen by 10% so far this year. A gold bar vending machine has opened in the Westfield shopping centre in west London. The machine, which follows others around the world including in Dubai and Germany, dispenses gold bars. Prices are updated every ten minutes as the gold market changes. The company behind the venture, Gold to Go, put a mark-up on the price of gold but CEO Thomas Geissler insists it is a good investment for members of the public. Gold prices are currently close to record highs of more than $1,500 (£940) an ounce. 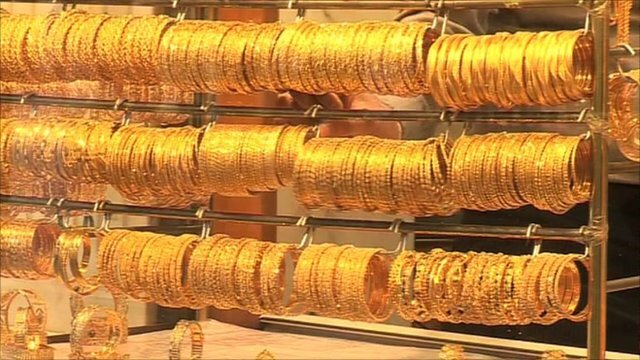 Members of the public had mixed views on whether the gold bars would make a good gift or investment.